For anyone with a tiny galley kitchen, there's good news: no more bland leftovers aboard. These delicious and easy recipes, all made with minimum fuss and maximum flavour, will allow you to spoil yourself in harbour and keep things simple at sea - not to mention rustle up a mean rum punch. With handy ideas on setting up the galley, a lazy guide to filleting mackerel and tips for hosting the perfect beach barbecue, this is the must-have guide for sailors and seaside-lovers alike. 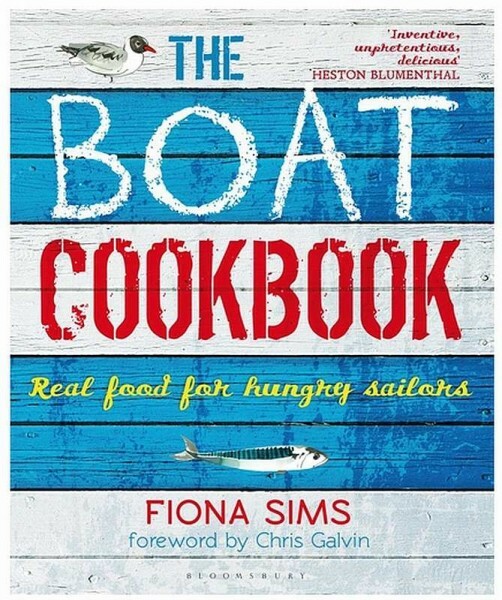 The book includes recipe contributions from top chefs Chris Galvin, Angela Hartnett, Kevin Mangeolles, Ed Wilson and Judy Joo and sailing legends Sir Robin Knox-Johnston, Mike Golding, Brian Thompson, Shirley Robertson and Dee Caffari. With a foreword by Chris Galvin, and accompanied throughout by wonderful photography and beautiful hand-drawn illustrations, this will prove to be an invaluable addition to the food lover's kitchen or galley.